The 2019 Community Planning Association of Alberta (CPAA) conference is being held at the Black Knight Inn in Red Deer Alberta, CPAA’s home for close to 18 years. As part of this year’s conference kick off festivities, a meet and greet golf tournament and follow up social will be held on Sunday, April 28, 2019. Please refer to registration form for details. Meet and Greet Golf Tournament – Sunday, April 28 at the Riverbend Golf Course in Red Deer. 12:30 pm barbeque and tee time is 2:00 pm. Education Session with Breakfast and Lunch – Monday, April 29 at 8:00 am Breakfast, Session starts at 9:00 am. The conference has numerous opportunities for sponsorship and exhibit space.
. Credit card payments are not accepted. There is not an early bird fee option. 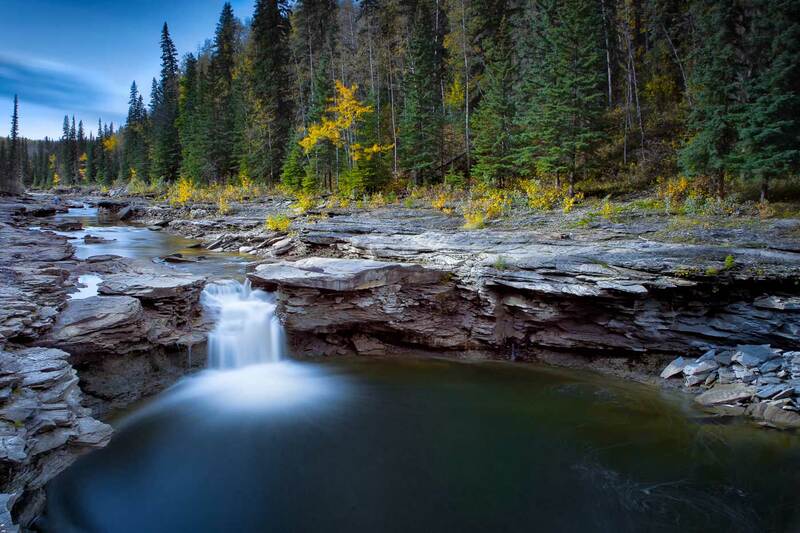 Lloyd Dykstra "Red Willow Falls"